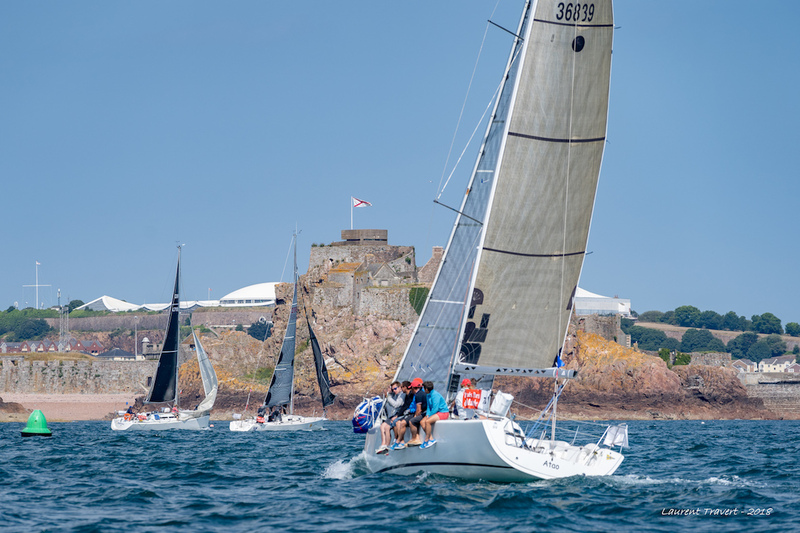 Day Five of the Manche Ports Race 2018. This morning there was heavy traffic on the water off Barneville-Carteret. 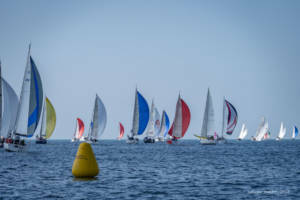 The contestants in this 34th edition got mixed up with the Diam 24s in the Sailing Tour de France who were due to start from the beach. The two fleets meeting up made for a magnificent sight. And to make things even better, the sun shone on the crews all day. We can already confirm that this will have been an exceptional edition! 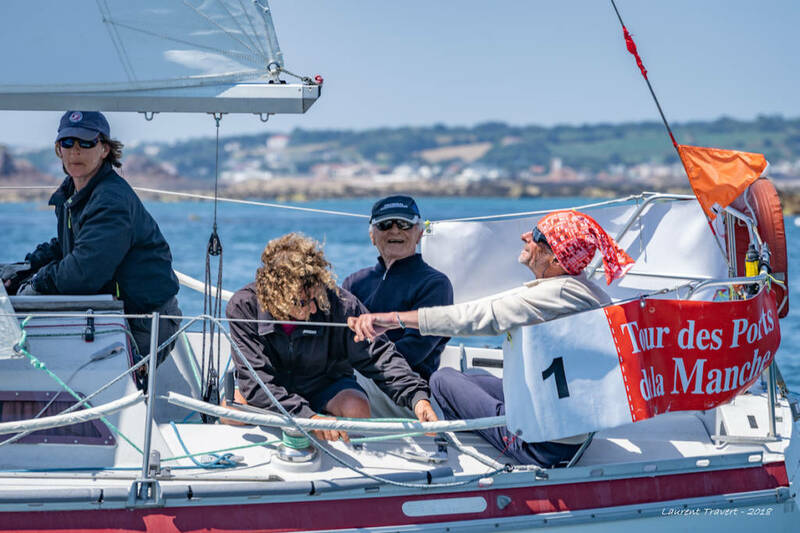 “We had a great start on Gwaihir Venturi, it was really fun being with the Diam 24s. Later on we got stuck with no wind again, and with the strong current we were drifiting towards the rocks, so we had to moor off Jersey. But then the dolphins came – they cheered us up! After that we set off towards the arrival point and finished fourth. It was a fantastic day. All isn’t lost. In groupe 1, today’s race hasn’t changed the top three in the provisional overall ranking. Pied d’Allouette, Folies d’Amour and Pacha are holding on respectively to first, second and third position. The lead in group 2 has changed: thanks to an excellent race today Oirrior takes first position ahead of Axe Sail 2 and Monster 737. In group 3 la Railleuse is still in the lead ahead of Idée Fixe. The crew of Chiquita, a First Class 8 skippered by François Cléris, comes into third place overall after a very good race today. There are no changes in groups 4 or 5. In spite of a minor setback in performance today, the crew of Gwaihir Venturi remains first in provisional overall ranking in group 4 followed by Manche Fibre Kunkel Palettes and Club Dinette Bar Restaurant. And finally, in group 5, Axe Sail, Crédit Mutuel and Ville de Donville hold the top three positions. Final leg tomorrow, Friday 13 July, returning from Jersey to Granville. 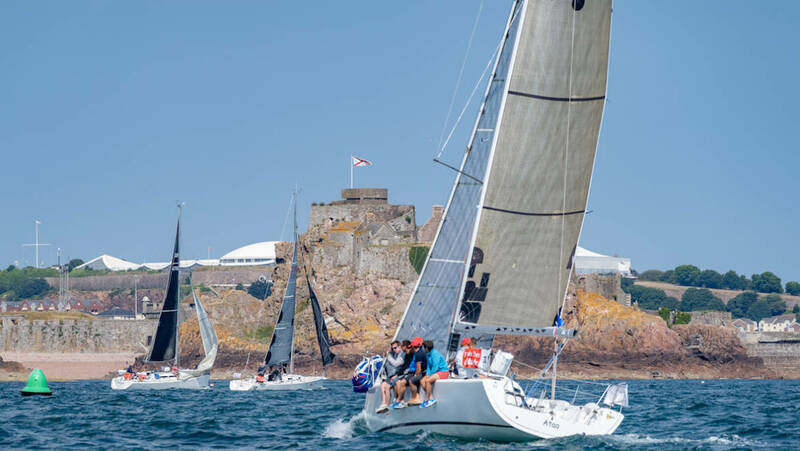 The competitors will gather at 10.00am in the Bay of Saint-Aubin for a course which will once again feature some spectacular views. We’re nearing the outcome and we’ll know the names of the winners of the Manche Ports Race for each group. See you tomorrow for the conclusion of this 34th edition!